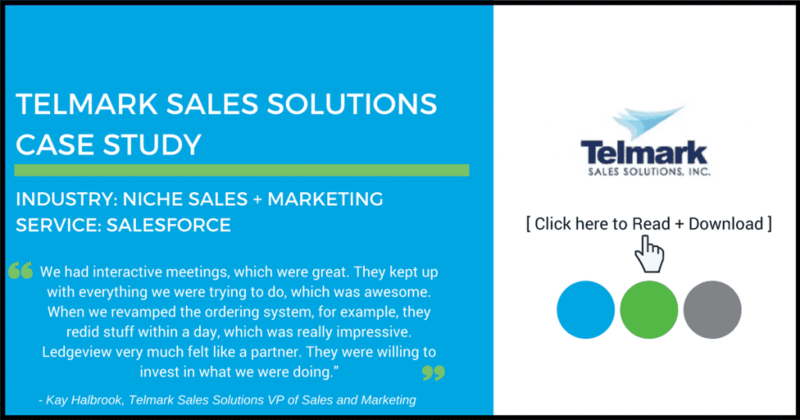 Telmark Sales Solutions, an Appleton-WI based niche sales and marketing consumer packaged goods and brokerage firm, sought out Ledgeview Partners to implement a Salesforce CRM solution that would meet the personalities and processes of their customers. What Telmark does is very customized. They thrive at three levels of organization that focus on a variety of clients and targets. 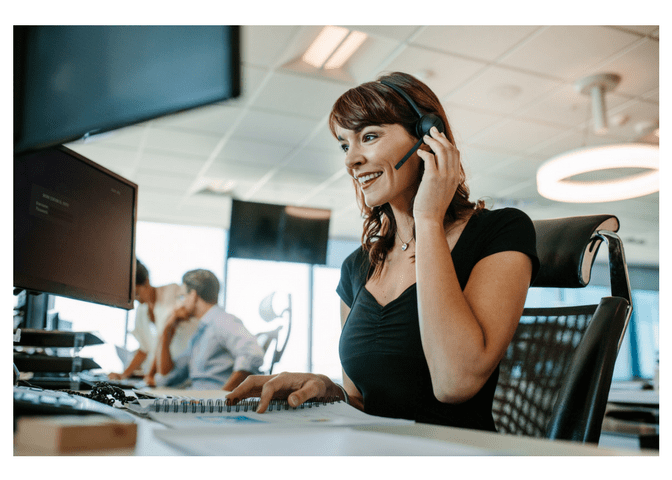 Through connecting with Ledgeview, they were able to find a solution that met the needs of their team, customers, and business procedure. With clear goals in mind, almost immediately after connecting Ledgeview Kay Halbrook, Telmark Sales Solutions VP of Sales and Marketing, found a consultant she connected with. Due to the stellar communication between them, the co-investment was quickly recognized. Telmark needed an EDI-friendly (Electronic Data Interchange) CRM system implemented. Customization was key, and that’s what Ledgeview delivered. Ledgeview had expertise that was readily available to Telmark, met deadlines, and customized a Salesforce solution to meet their objectives. “We were really pushing the envelope with some of the things we were trying to accomplish: EDI, complicated pricing structures, and so on. Ledgeview was right there through all of it. They were extremely accessible. We had interactive meetings, which were great. They kept up with everything we were trying to do, which was awesome. With downtime as the company’s most important metric, Halbrook insisted that if their system was down, they couldn’t sell or generate sales for their customers, which provided no value. Telmark reports they are at 110% of their planned sales volumes for the year after going live with their solution. Telmark anticipates continued work with Ledgeview as their process continues to evolve and update. >> Click here to read the full Salesforce success story.